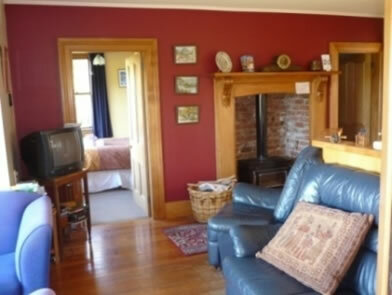 We recommend that you book in advance, especially during the summer, and particularly if you require a whole house. This charming room features a warm comfortable made up queen bed with unique carved headboard, TV and sofa, with adjoining bathroom. The double sash windows afford a panoramic view of the Papatowai coast. 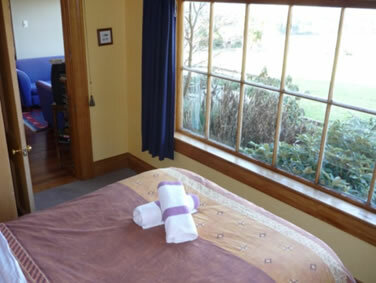 Choose from four, all with spectacular views of the surrounding coast, countryside, or garden. 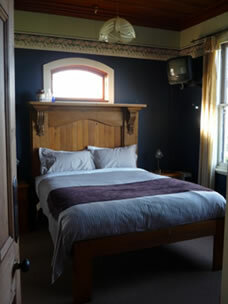 Comfortable made up queen beds with electric blankets, and all linen and towels supplied. One room also has a single bed available for $38. Relax in our cosy king single beds, both with electric blankets, linen and towels included. 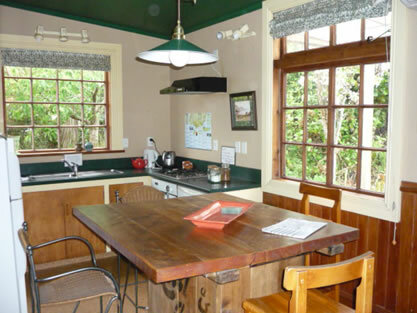 This renovated turn of the century cottage retains its original charm, and is your ideal private cosy family unit, featuring master bedroom with ensuite, and second bedroom sleeping two in comfortable long single beds. The well equipped kitchen with dishwasher, microwave, and a unique dining table adjoins the comfortable lounge, also with a sofa bed. 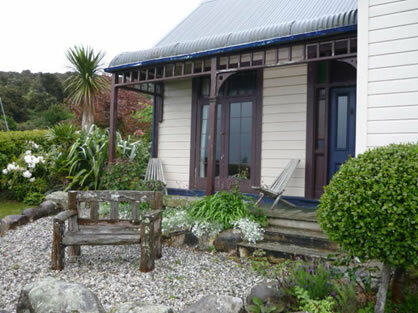 French doors look out to panoramic sea views, and open onto a sheltered verandah. Laundry facilities are available. Perfect for a group of friends, with four double rooms, one with an extra single bed.There are two convenient bathrooms, one with our old-fashioned clawfoot bath. Cook up a meal in the well-equipped kitchen (with gas hob, oven, microwave and dishwasher), dine outside , or in our conservatory, or just relax and take in the wonderful views from the living room. The heatpump and woodburner will keep you cosy on rainy nights. A BBQ and laundry are also available. We can provide that special venue for weddings, birthdays, garden tours, craft group meetings, group retreats, and business meetings. 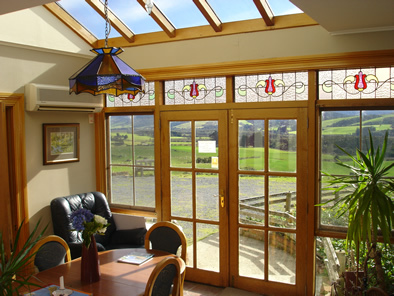 We are conveniently located on the Southern Scenic Route, halfway between Dunedin and Invercargill, in the middle of peace and tranquillity. Please contact us with your special requests, or to ask about our off peak and long stay specials.